If you have school-age children it is very likely social media platforms are a big part of their lives. You may have thought that it is perfectly okay for you as a parent to have a hands-off approach to their online interactions, but knowing about social media safety is critically important for parents in 2019. As a parent, you are responsible for what your kids see and do online and the first aspect of social media safety for you to be aware of is to check in often with your children to know exactly what they are viewing and who they are talking to. 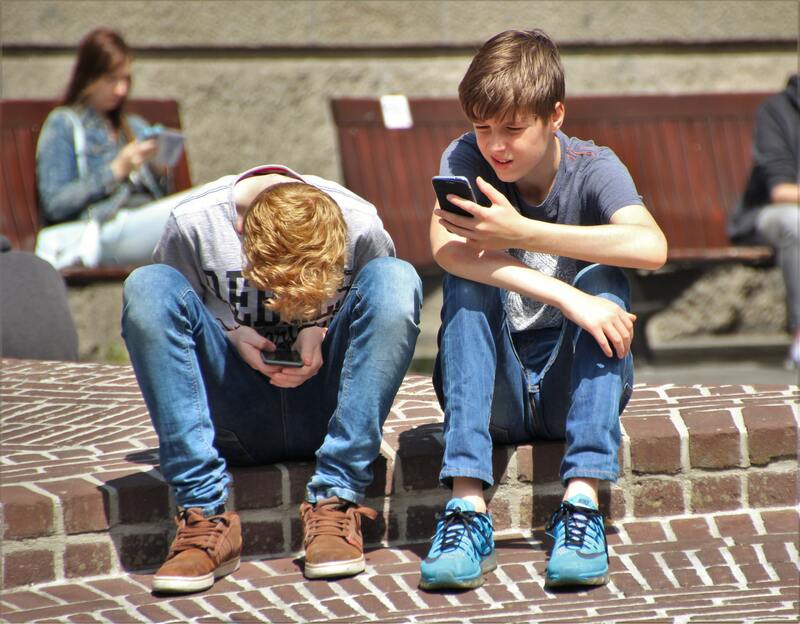 Our research has found 44 per cent of kids aged 10-13 use social networking sites and more than 30 per cent of children aged 12-15 say chatting to friends online is their favourite activity. It may all sound benign, fun and innocent, but unfortunately there are issues your kids may face if their social media usage goes unchecked. Talk to you kids about the positive aspects of being on social media – which is hugely popular in this country with nearly 80 per cent of Australians using it – such as being connected with friends and family; it can be a platform for LGBTQI young people to explore their identities safely and anonymously if needs be and for less outgoing kids to find their voice. It is however also a good idea to talk to your kids about the need to only use the platforms responsibly. Teach them about the importance of only sharing information they would be happy for their grandparents, parents and teachers to see. Talk to them about keeping it clean online: ask them to think about whether they would like other people to see what they are about to upload or send? It is not uncommon for kids to share personal information which could be shared with others. They may not initially understand the consequences as this can cause upset or later impact on their reputation. Impress on your kids that they do need to think before they post, chat, upload or download anything. Talk to them about the fact that what they post can’t always be taken back or removed, and even if it can, it may already have been shared. This applies to webcams too – teach them to only use webcams with people they know, and show them how to disable it. Teach your kids about privacy settings and why they are important. Go through them together to make sure your children understand each one. You can set privacy settings on most social networking sites so that only close friends can search for your child, tag them in a photograph or share what they’ve posted: this is recommended. Teach them how to block or ignore people on social networking sites and online games, and support them in knowing what they can do if someone makes them feel uncomfortable such as to create a sentence with your child that they can use if they want to exit an uncomfortable conversation online. Explain that passwords are there to protect them against things like identity theft. They should never share any passwords with anyone, not even a boyfriend, girlfriend, or best friend. Young people can receive messages that are sexually explicit, violent or judgemental. They can be victims of online cyberbullying. Their self-esteem may be impacted by comments made by others. They can have health-related issues due to over-exposure to social media – this can cause headaches, social isolation and even suicidal thoughts or actions. Discuss the fact that chatrooms and forums are one of the places online groomers go to connect with children or young people. They can also be places where people use a lot of sexual language and engage in online flirting. This is sometimes done through video chat programs. As a parent, be sure to report people linked to any inappropriate conversations to the site administrator via the “help” or “report” tab (if available) and always keep a copy of the conversation as evidence. Once these discussions about social media with your kids has occurred, make a “social media agreement” with your children/teenagers and make it like a real contract they can sign. In it, ask them to agree to protect their own privacy, consider their reputation, and not give out personal information. They must also promise not to use technology to hurt anyone else through bullying or gossip. Parents can also help keep kids grounded by putting limits on social media use at home. Keep computers in public areas in the house, try to avoid laptops and smartphones in bedrooms, and set some rules on the use of technology (such as no devices at the dinner table).